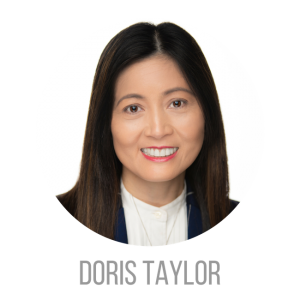 Doris Taylor is a dynamic tri-lingual professional who speaks English, Chinese and Taiwanese. Doris moved to England earning her graduate degree in Business Administration from Manchester Metropolitan University in addition to obtaining her MBA. Years of living abroad advanced her business acumen and natural progression into Corporate America. Doris held multiple leadership roles and gained savvy business skills that make her the optimal agent. She is well-versed in contract negotiations and finding the right properties that meet the customer’s requirements. Doris prides herself on offering clients the most precise and up to date feedback on the state of the market, comparable sales and property listings and providing a realistic outlook on what they can expect to achieve in today’s market. In addition to offering world-class service, Doris has joined the Preferred Ohio Sales Team to assist clients in achieving their financial goals and finding the perfect home. taking care of her two puppies, Cookie and Coco.